Kubo and the TwoStrings is one of the most recent animated films to hit the big screen – Ifyou haven’t seen the film yet, I suggest going out to watch it right now. Goon, this will still be here when you get back. As some of you maybe aware, I am mostly known for writing reviews of professional wrestling.However, I do actually have another passion other than wrestling, and that isanimation. I’m currently in my third and final year (wow, time flies) of anAnimation degree at the University of South Wales. Due to the obvious nature ofthe course, I am joined by a diverse group of people that share my love andpassion for animation. 2D, 3D, Stop motion, we love it all. I saw the filmon September 23rd with a small group of friends because I must make aneffort to be more social, especially in an industry such as animation, which Imay or may not decide to work in after graduating – I need to keep my optionsopen. Beforehand, I washesitant about watching the film as it’s mostly stop motion – a cinematicprocess or technique used to makes static objects appear as if they weremoving, most commonly used in claymation and puppet-based animation. Itputs me in an awkward position on a course full of people that specialize in 2Dor stop motion animation because I have a genuine fear of stop motionanimation. I wouldn’t call ita phobia, but whenever I watch a stop motion film, no matter how beautiful itmay be to others, I will ALWAYS feel weirdly uncomfortable. Something aboutpuppets and armatures (things that shouldn’t really be moving) coming to lifemakes me feel really uneasy. However, this film proved to be an exception. The story followsthe quest format – the well-known story of the main character and his/hercompanions going out across different parts of the land in search of something.It might be a person, a specific place, items, or generally something ofimportance to the main character. We follow the tale of Kubo, a young boy whowith his magical shamisen, a traditional Japanese three-stringed lute, has thepower to bring origami to life and tell the nearby village of different tales. We’re given aninsight into Kubo’s history at the beginning with his mother Sariatu, who escapeswith Kubo as a baby, from her father and sister, who in the process killedKubo’s father Hanzo, and took Kubo’s left eye. Kubo is warned that he cannotstay out at night in fear they come back to claim his other eye. Kubo hears of atradition that involves communicating with lost loved ones and attempts toreach his late father at a cemetery. His attempt fails and in his frustration,loses all track of time and dusk approaches. And as luck would have it, hisevil aunts appear and attack the village in hope of taking him with them.Luckily, his mother saves him and tells him to search for his father’s magicalarmour, thus the beginning of his quest. Following the attack, Kubo’s motheruses magic and gives her life to protect him and sends him away. Kubo later wakes upin a blizzard where a talking monkey named Monkey (very original) appears andvows to protect Kubo and aid in his quest. Along the way, he also meets a halfman/half beetle bowman, named Beetle (again, very original), and they quest to retrievehis father’s armour. As the film goeson, the bond between Monkey and Beetle develops when they retrieve the firstarmour piece, The Sword Unbreakable. After finding the second piece in theocean: The Breastplate Impenetrable, Monkey battles with one of the sisters andit is revealed afterwards that Monkey is in fact his mother, Sariatu, as shesent what little magic she had left into the Monkey Statue to transformherself. However, when searching at his father’s old temple, the three battledthe second sister, and it was revealed that Beetle was actually a cursed Hanzo,Kubo’s father. And during this battle, where both mother and father were toobadly injured to fight anymore, Kubo defeated the second sister. While hismother and father were gone, their original Monkey Statue and Beetle formsreturned to their original state. At the climax of itall, Kubo returned to the village near his home to retrieve the final armourpiece, The Helmet Invulnerable, and also confronted his grandfather, Raiden theMoon Knight. In the end, Kubo defeated Raiden by turning him human once again,with his memories removed and the villagers reforming him. Kubo attempts oncemore to communicate with his parents’ spirits, and to his avail they appear. Inhis final words of the film, Kubo says, “The end”, signalling his completion ofthe quest and his parents’ spirits resting in peace. So, that’s the filmbriefly summarised. Now, to the analysis. It would be beneficial to talk aboutthe story itself first as that is the most important aspect of a film, in myopinion. It was very well done, tackling mature themes of life and death in asensible manner to a younger audience. There were a few elements that didn’tmake sense, such as Hanzo being the cursed beetle – it wasn’t made clear thatHanzo was even cursed to begin with, as he was presumed death. Maybe heactually did die and Raiden and his daughters, the sisters, brought back anessence of him into a beetle, much like Sariatu did with Kubo’s monkey statue. The main aspect ofthe story I didn’t like was seeing Raiden reformed. He had no memory of Kubobringing him back to his world through his magical shamisen. I expected Kubo toactually tell him of the awful things he put his family through, but instead thevillagers lied to him and told him how good a person he was to everyone there,claiming he lived at the village all along. Kubo even accepted all of this,which was somewhat bizarre. I understand that he wanted his grandfather toretain an ounce of pride and humanity, but I think it could have been done in abetter way than simply lying about it. Aside from thoseirks, the rest of the film was sheer brilliance; the use of his mother andfather being represented through pieces of string throughout the film, hismother, from a strand of her hair he took when she saved his life before hisquest began, his father from the string of his longbow, then from Kubo, takinga strand of his hair and using all three to fix his shamisen, when the stringswere broken during the battle with the second sister. Ahhhh, I get thetitle! 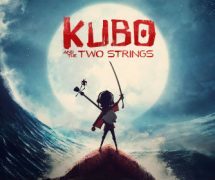 Kubo (one string) and the Two Strings! (His Mother and Father!) Oh, myheart! As previously mentioned, the film portrayed death as a theme in a veryunique and positive way. To a younger audience that may have lost familymembers or could be in the process of losing them in the near future, theconcept of death was portrayed in a way that’s rarely seen in film. Thesethings happen, it happened to me and because of that I felt an instant connectionwith the film. Maybe that’s why the animation didn’t make me want to look awayor blink, as Kubo says not to do in the tale. The animation is a work of art, quite literally. This film made me trulyappreciate how much of an art form stop motion is and how it can be usedoutside of pseudo-horror. That’s probably why I have a fear/phobia of stopmotion, I blame Tim Burton – I’m not his biggest fan. As much as thefilm’s stop motion took my breath away, it was possibly the credits that did iteven more. Before it scrolled down through the extensive list of animators,directors, composers and the like, we were treated to a beautifully fluid 2Danimation sequence of the main cast and other key elements in making the film.Then in a major fourth wall breaking moment, it transitions to stop motion fora moment, where we see the actual stop motion studio with one of the armaturesand then the audience is treated to an insightful time-lapse where it is beingcreated over a few days – that just brought the whole thing full circle to meand made me appreciate those capable of creating stop motion so much more. The overallaesthetic of the Japanese culture was on point. The soundtrack was fitting andcomplimented the theme of the film brilliantly and was very appropriate to thesituations of the film. The credits track ‘While My Guitar Gently Weeps’ byRegina Spektor was also a beautiful addition. To close this off, I urge you watch this film, you won’t regret it. Whether youare a child, a young adult, maybe even a parent looking to take your kids tosee something different, this film has something for everyone. I won’t berating the film because I’ve done that in the past and often find ittrivialises the complexities and different elements that are involved in filmproduction. 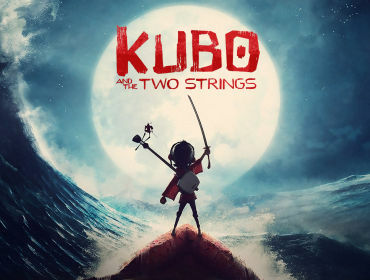 You can still catch Kuboand the Two Strings in cinemas this week and will likely be releasedon DVD and BluRay at the tail end of the year or early next year.